The beaches among the five Great Lakes — we’re counting Lake Champlain, though only briefly considered a Great Lake — do not disappoint, and the calm, clean waters are one of the biggest draws for families seeking beach fun sans waves. Sand dunes, boating, picnics, fishing, hiking and even rock picking are a few of the fun things families can do at these beautiful Great Lake beaches. 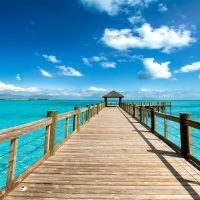 Situated about 30 minutes north of Chicago city limits, this Great Lake beach is also about 20 minutes from Wrigley Field and Lincoln Park Zoo, so families can easily spend a half day at the beach and then go check out a game in the evening or visit with the animals. Leone Beach Park features plenty of sand and calm lake waters, along with a playground, athletic fields and a place to launch kayaks into the water. Indiana Dunes has been ranked by many outlets as a great family beach, featuring soft sand and the calm waters of Lake Michigan. There are 15 miles of beach and 16.5 miles of trails within this state park, and some involve climbing the sand dunes (which is okay to do here). 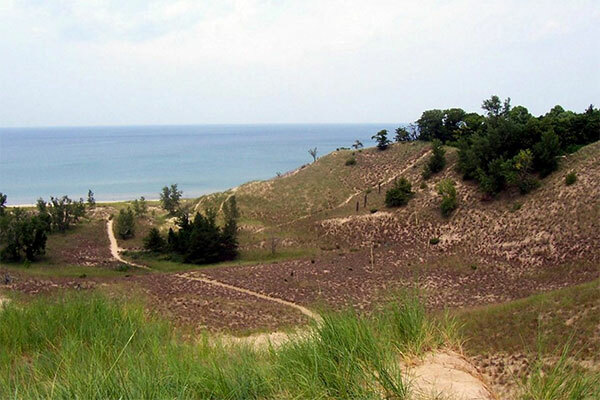 The largest sand dune, at 192 feet above Lake Michigan, is called Mt. Tom. Kayaks can be launched here, but there is no boat launch and dune buggies are not permitted. 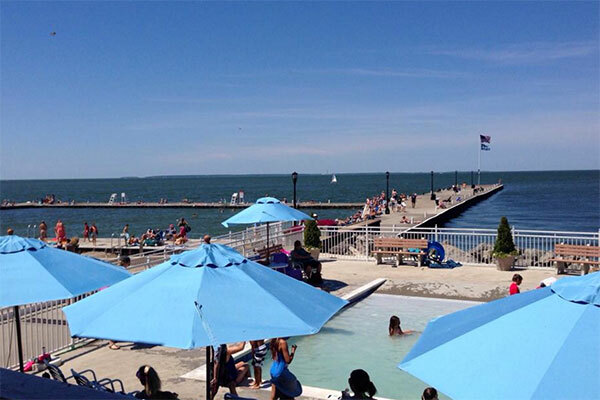 The beach at this lakeside village offers great opportunities for families to enjoy Lake Erie. 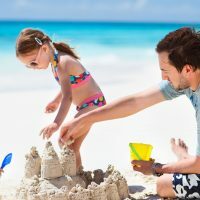 Families can swim off the sandy beach, play a multitude of sports and activities, and enjoy live entertainment nearly every evening in the summer months. Bikes and golf carts are the best way to get around this lake beach town. Families can rent a cottage of nearly any size here or stay in a historic inn. The Great Lake beach at this state park is more of a pebbly-kind and portions of the coastline feature larger rocks, but Lake Huron and Mackinac Island do not disappoint. No vehicles are permitted on Mackinac Island, so the charm that this town brings is outstanding with Victorian homes and horse drawn carriages. Families will love to walk or bike the many trails, and the Arch Rock is an ideal spot to take that next family photo. Located less than 45 minutes from Stowe, Vermont, North Beach Park offers great family fun on Lake Champlain. It is a large beach that also offers lifeguards in the summer season. Families can swim and rent kayaks, canoes and stand-up paddleboards. Concessions, BBQ grills, picnic tables and restrooms and showers are also featured at North Beach. There is a playground and free Wi-Fi, too, so both toddlers and teens will be happy here. If you want to maximize your time on Lake Champlain, North Beach Park also offers a full campground for those wishing to stay overnight. Located less than 30 minutes from the New York side of Niagara Falls, this Great Lake beach features a boat ramp and plenty of fishing and swimming opportunities. 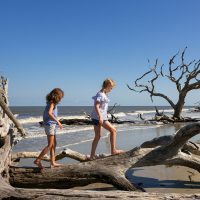 In addition to the sand, families can enjoy the 4-mile nature trail, playgrounds, picnic tables and showers in the restrooms. This Great Lake beach does not offer the typical sand between your toes. Rock picking is big at this lake beach. Families can stroll the gravel and pebbles searching for the best stones. Finding an agate stone, a semiprecious translucent quartz stone, is always the goal at this Lake Superior beach. Skip some rocks into the water, enjoy a sunset or have a picnic at this family-friendly Great Lake beach.